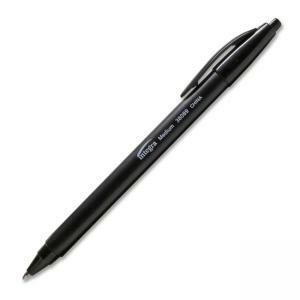 Retractable ballpoint pens feature a triangular shaped barrel made of smooth plastic. Barrel color matches ink color and includes a plastic clip for securing pen to binders and pockets. Each ballpoint pen contains 90 percent recycled material.